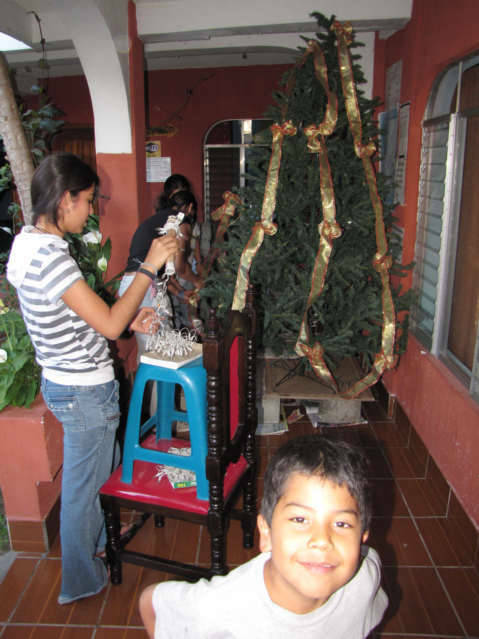 Christmas preparations are in progress all over Panajachel, Guatemala a city located on the Lake called Lago, Atitlan here in Guatemala. 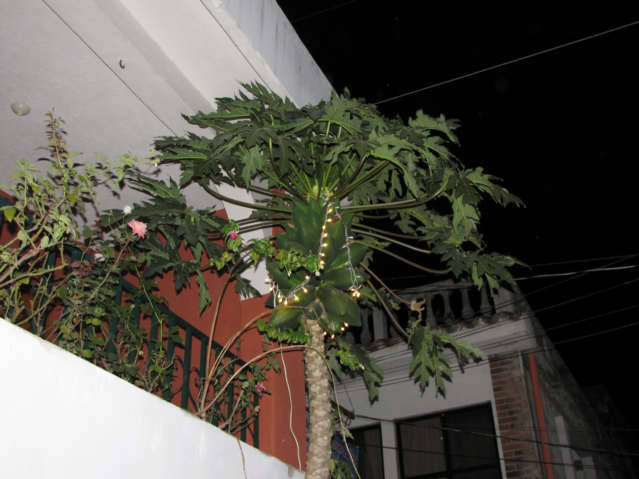 We have real pine trees, artificial trees and there I have found a Papaya tree decorated. I have yet to find a Banana tree decorated, however I am sure today on the eve of Christmas many interesting things will happen. I am positive there will be more firecrackers and fireworks than needed. Roberto is a happy kid who lives in my Hotel with his Family. 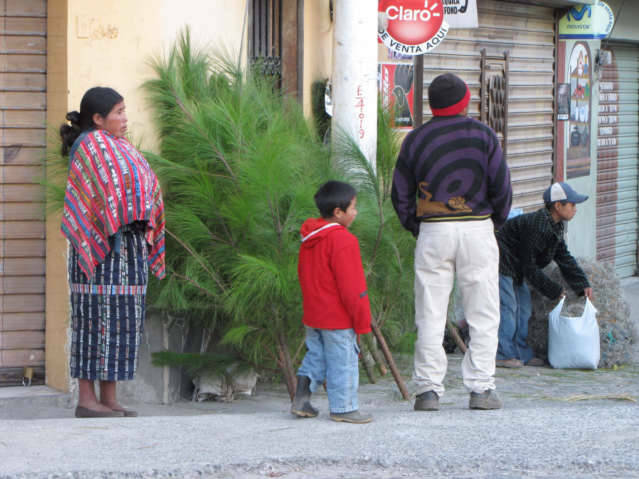 The are selling Christmas Trees up by the Market of Panajachel, Guatemala. 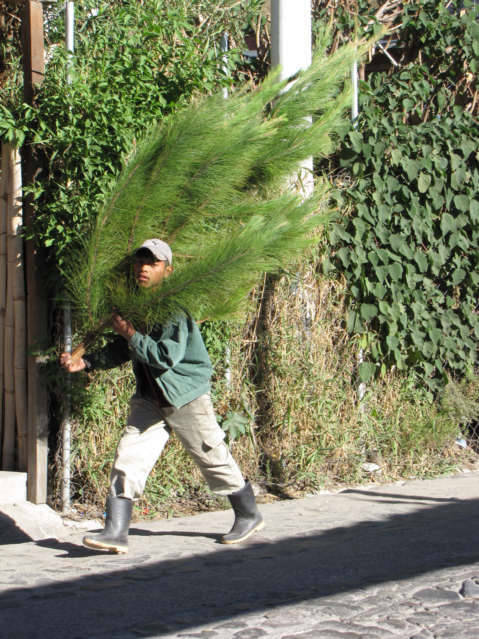 A young man carrying a Christmas tree to his home, notice the rubber boots. 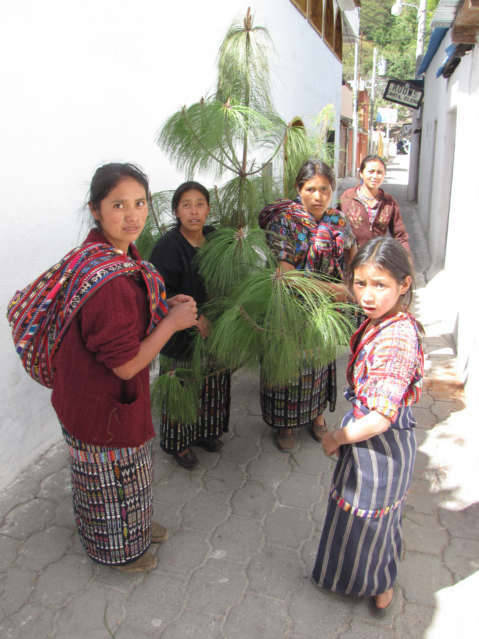 Christmas Tree traffic jam on a small street in Panajachel, Guatemala on Lago Atitlan. Papaya Tree decorated for Christmas.